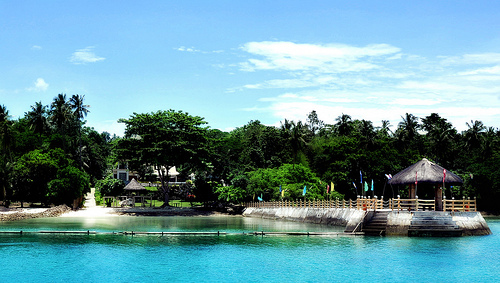 Bali Bali Beach Resort is a stunning one-hectare semi-private beachfront resort situated at the coastline southwest of Samal Island. 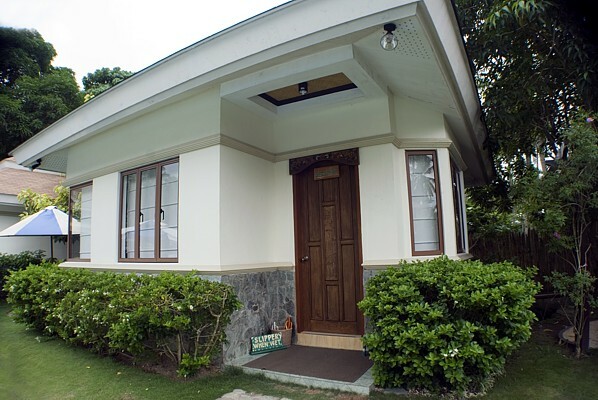 While walk-ins are not encouraged by the Resort, it however provides each guest tranquility and privacy away from the noise of city life. 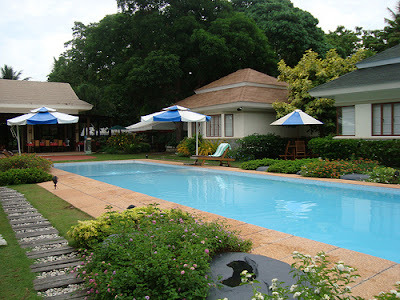 Bali Bali Beach Resort was appropriately named from the word "bali bali," which, in the native dialect of Pangasinan, means "beautiful." 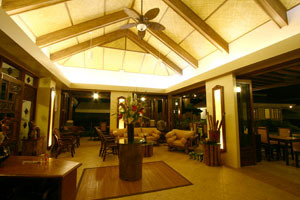 The Pavilion serves as the main lobby where guests are welcomed. 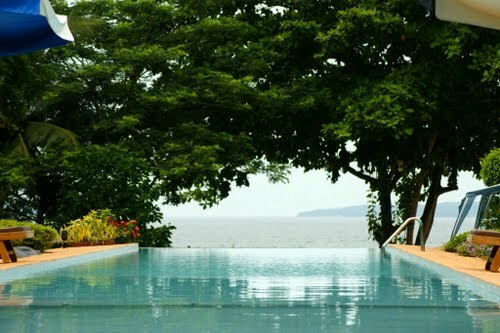 Fronting the Pavilion is the Resort's main attraction - the infinity pool (below) which stretches its beautiful view up to the Gulf of Davao. 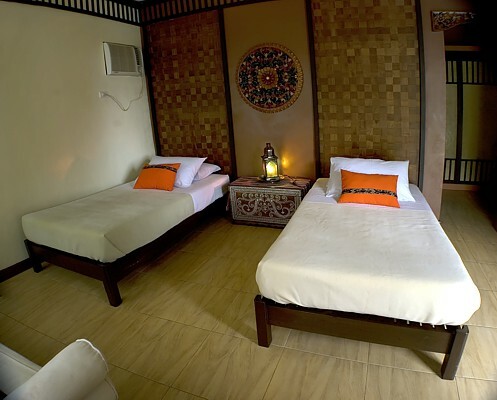 Bale´ House was designed specially for guests of the Resort who may want to avail themselves with complete massage and spa services. 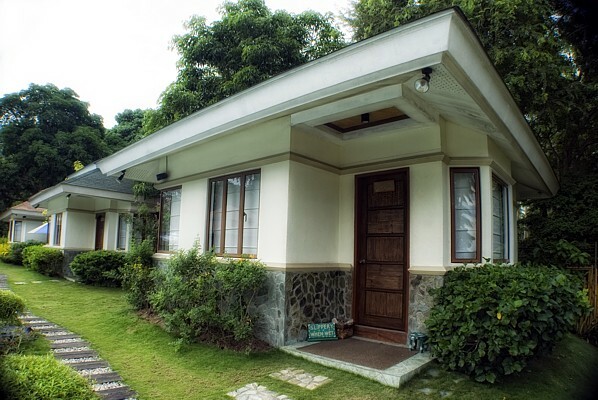 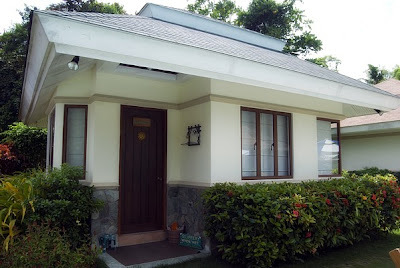 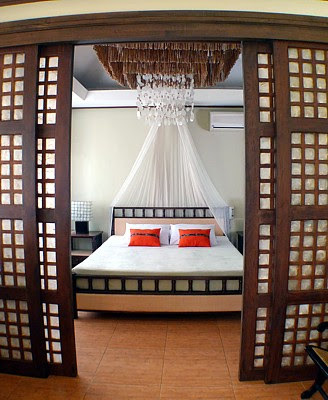 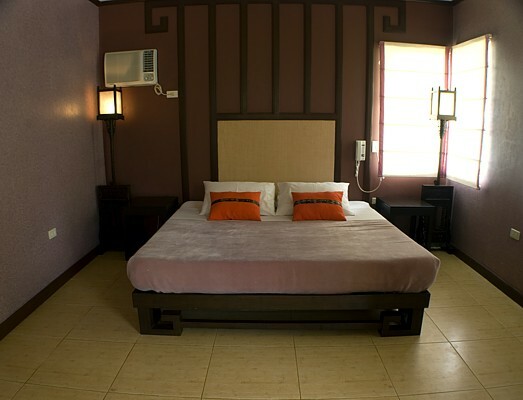 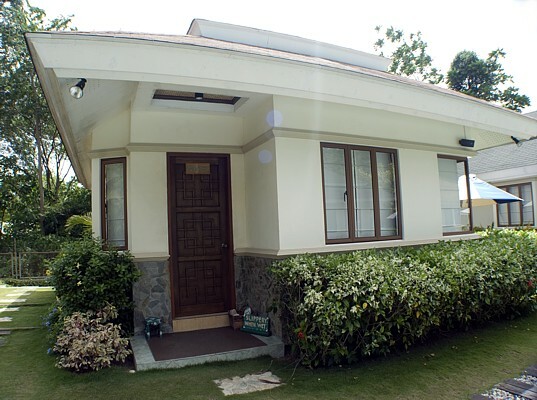 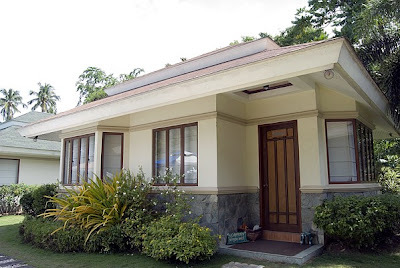 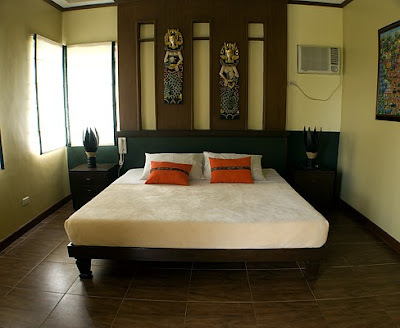 For overnight stay, there are six villas to choose with each room having different themes. Stay to these Asian-inspired villas is inclusive of a full day’s meal - breakfast, lunch, and dinner, and comes with welcome drinks and free use of all the resort’s amenities except for the use of aqua sports equipments which are charged separately. 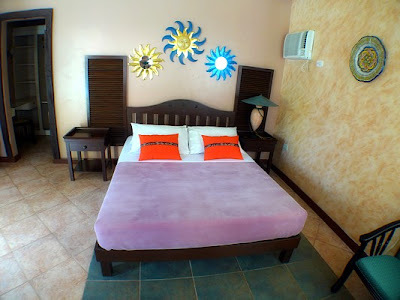 The Resort is complete with facilities for water sport, such as diving, snorkeling, kayaking, wake boarding, jet skiing, banana boat rides and speed boat cruise. They also have exclusive packages for overnight stay, day tour of the Resort, island hopping adventures. 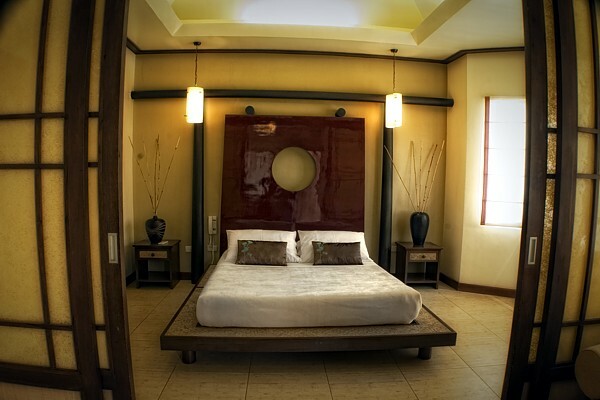 The Resort may also be engaged for special occasions such as weddings, family reunions, birthday parties, bridal showers, etc. There are four different ways to get to the Resort: from the docking area at the Davao Boat Club in Marina, Lanang Aplaya, via a pre-arranged boat transfers provided by the Resort; via commercial ferry at Sasa Wharf followed by a 20-minute drive heading southward along Samal’s Coastal Road; via speedboat cruise to the southern part of Samal Island (Bali Bali is at bearing 7° 03’ 50.75" N 125° 41’ 01.41" E); or via a pre-arranged private vehicle service followed by land and barge transfers to and from the Resort for a fee. Special trips are accommodated for a separate fee.